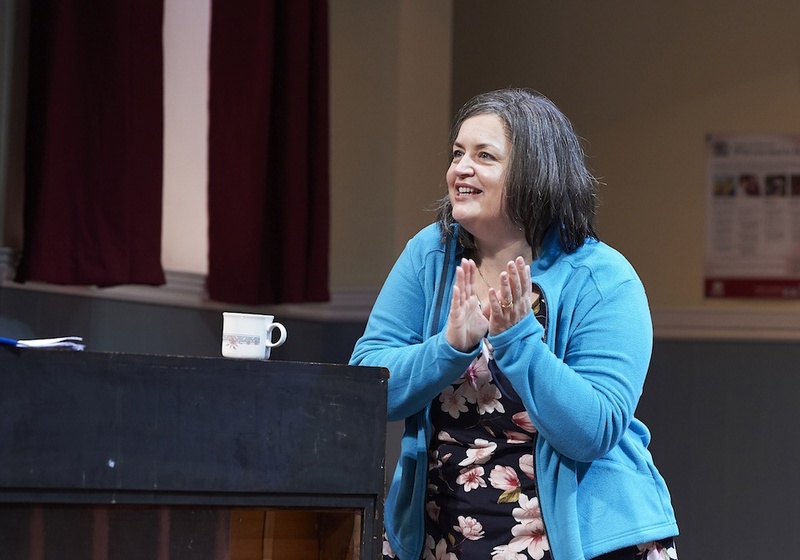 This play sees favourite Welsh actress Ruth Jones return to the stage after 12 years away – and she doesn’t disappoint. 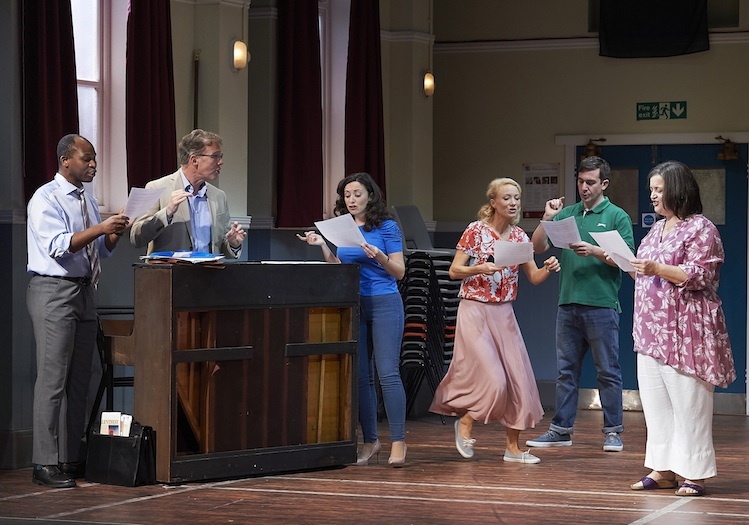 Written by actor William Gaminara, the story follows a local a cappella group that meets at a dingy local hall (cue a very realistic ‘no delusions of grandeur’ set). 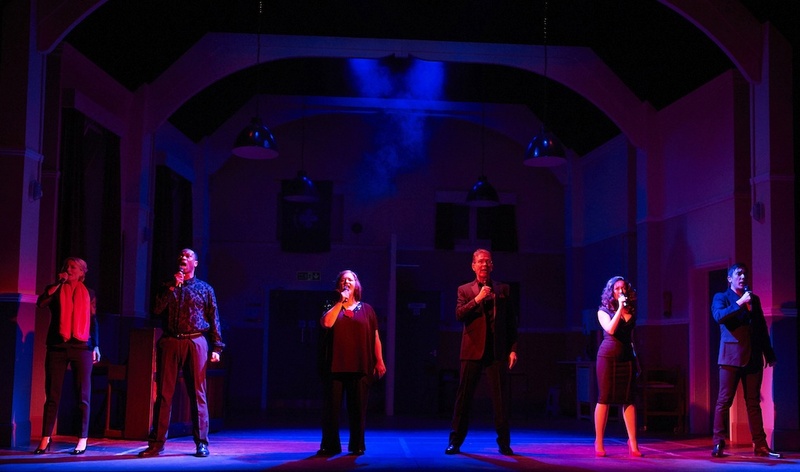 Maggie ( Ruth Jones) is new to the area and is enticed to drop in on the group, lured by the sweet singing she hears from outside. And from that moment on – as she ingratiates herself to the group, regales them with tales, brings cakes, changes lightbulbs and confides in them – we slowly begin to wonder if she is all she really seems. We’re kept guessing as the story unfolds and Maggie urges them to enter Talentfest, a competition that could lead to Britain’s Got Talent and change their lives forever. Then we see the cracks emerge in the group. An affair, unrealised dreams, unrealised longings, hidden tragedy and more. There’s light relief aplenty though – especially in the comical relationship between would-be tennis star and would-be model husband and wife Connie and Ben. Bittersweet to the end, we wonder who is innocent, who might be guilty and why.